In women aged 50 years or more who experienced a fracture, 81% suffered a fragility fracture. Six to eight months after fragility fracture, 79% had either not been investigated for osteoporosis or prescribed anti-fracture therapy. Despite fragility fractures being common in this population osteoporosis is under-diagnosed and under-treated. 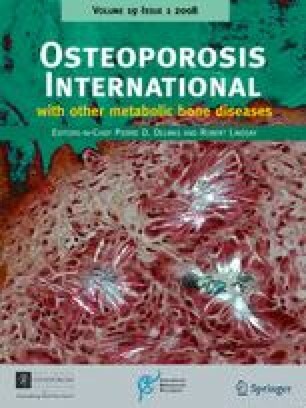 The objective of this study was to evaluate the diagnostic and treatment rates for osteoporosis six months following fragility fracture. This prospective cohort study was set in the general community from the Province of Quebec, Canada. Women at least 50 years of age who suffered a fracture were recruited during their initial visit to the hospital and had their fracture type classified as either fragility or traumatic. Six-to-eight months after fragility fracture, women were again contacted to evaluate the diagnostic and treatment rates of osteoporosis. Of the 2,075 women recruited over a 25 month period 1688 (81%) sustained a fragility fracture and 387 (19%) sustained a traumatic fracture. Nine hundred and three participants with a fragility fracture were again contacted six-to-eight months after fracture. For the 739 women not on treatment on the recruitment day, only 15.4% initiated pharmacological therapy in the six-to-eight-month period following fracture and 79.0% had either not been investigated for osteoporosis or prescribed anti-fracture treatment. The proportion of fragility fractures to total fractures is higher than previously reported. Despite the availability of diagnostic modalities, effective treatments, and adequate health care assessments, there is a substantial care gap in the management of osteoporosis. We gratefully acknowledge the contributions of the ROCQ programme staff, particularly programme coordinators Nathalie Migneault and Lucie Vaillancourt and administrative assistant Julie Parrot. We also acknowledge the contributions of the regional coordinators and research assistants: Sylvie Bélanger, Geneviève Corneau, Isabel Lajeunesse, Pierre-Antoine Landry, Lise Lemire, Anne-Marie Louis XVI, Julie Simard, and Lyse Roy. Finally, we thank the regional directors, Pierre Dagenais, Kim Latendresse, Pierre Major, Frédéric Morin, Suzanne Morin, and Josée Villeneuve, for their support during the implementation of the programme and their ciritical scientific advice. We also thank past members of the ROCQ executive, Louise Lafortune, Christine Chin, Luc Sauriol, and Andy McClenaghan, for their insightful guidance. 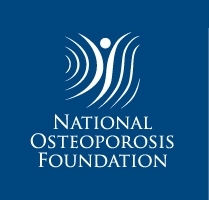 The Recognizing Osteoporosis and its Consequences in Quebec (ROCQ) Programme is funded by Merck Frosst Canada, Inc., Procter and Gamble Pharmaceuticals, sanofi-aventis group, Eli Lilly Canada, Inc., and Novartis Pharmaceuticals Canada, Inc.